Sorry to the people we have zipped past lately. Horse Gulch road and other high traffic zones have been tough on our big DEVO groups. We really do try to ride safe and in control, and it is a daily topic at the beginning of our group rides. Our high visibility has led to several call outs on our trail etiquette. As head coach, I have been very impressed with all of my athletes skills both in traffic and around pedestrians. We are not racing everywhere we go as several complaints have claimed. These are young kids doing a positive thing with their life. Why not stop and watch them play. International Mountain Biking Association’s “Take a Kid Mountain Biking Day” on Saturday, October 4th. It seemed like it could be a popular community event in Durango, so I wanted to pass the information on to you in case you’d be interested in putting it on here? If you are, the IMBA has free tool kits with snacks, supplies, and promotional materials that they can send you if you register your event with them before September 15th. Is there any way our coalition can help you with this event? Were you planning on doing something already? Please let me know if you’re interested in collaborating on this event. Our coalition is all about getting kids more active. I don’t know if you remember, but I was one of the speakers at the bike summit in May – our coalition partially sponsored that event. Thanks for your time. The Jr. DEVO sign-up meeting went well as we average 7 riders per group, with the biggest being the tuesday 20inch group with 14, meaning only 2 spots remain. The Thursday 20inch group has plenty of room. The final day to sign up is Sunday the 7th by 12am. Last min paperwork and payment can be hand delivered to the mailbox at 3169 w. 3rd ave, (near Animas Mountain.) Rides begin the week of monday 9-8. We are very excited as the trails are amazing right now. Each ride will be led by coaches Anne, Chad and Jon Bailey. And will cover a different skill each week. So parents, make sure to ask questions post ride, as the information is the key to fun. The DEVO U-14 and 19 teams are in the last week of their summer season. The program ends this weekend, with the last team race, and final MSC Cup race, The Fall Classic in Breckenridge. The team will be leaving this friday to stay in a team condo on the mountain. The team will pr-ride together of Friday to prepare, as Saturday is the circuit race, and Sunday is the cross country. It has been one heck of a season. Thanks for sending us super positive vibes. These kids rock. DEVO will be graduating one rider this Fall, U-19 Mens teamer Daniel Walker. This is his second year on the team. Daniel has had one of the most radical improvements in the history of DEVO. His Telegraph Time Trial record has been whittled down from 30:17 to his pr on the last TT of the season, 22:57. His consistent practice track record and his enthusiasm to improve, have been a great model for both his teammates and the younger teams. Daniel is a mountain biker. Daniel is enrolled at Fort Lewis College this fall and is taking on the dorms. Wish him luck as he ventures down the road to collegiate cycling. Nice work Daniel. Tonight from 6-730pm at the Durango Recreation Center, Annie and Chad will be doing sign-ups for the upcoming Fall Jr DEVO program. Questions will be answered and forms will be filled out at the meeting. The season begins next monday and goes through Halloween. Questions and email registration can be sent to annie@durangodevo.com. To get forms, click on Fall 2008 JrDEVO forms and schedules, located under categories to the right. Durango DEVO riders took to the podium the weekend in Brian Head, Utah at the NMBS Finals. Alicia Rose Pastore made her pressence known on the national curcuit, by winning the junior expert category by 13 minutes. Her brother Gino also had his breakthrough performance of he season by winning the 16 and under junior expert race by three minutes, and his time being worthy of a second in the older, 18 and under category. Dang. The newest member to the DEVO ladies squad, Summer Ellefson, had her first junior sport win of the season. DEVO coach, Evan Elliott had his best race as a Semi-Pro Downhiller, taking 4th. 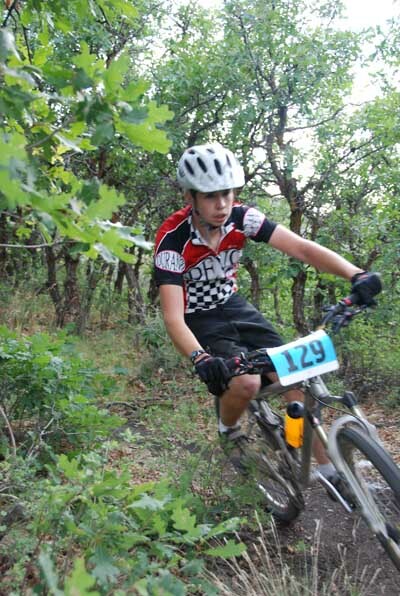 Evans brother Tad had a tough week in the pro class, placing 24th in the short track and the cross country. It has been a long season for the second year professional. Also, Durangos Darien Harvey finished 2nd in the pro womens downhill, earning her a first place overall for the 2008 NMBS Series. Nice Work to all. Its the Mountain States Cup series final and the Team Durango DEVO season final, all wrapped in a sweet singletrack package. The weekend of September 5-7th is the Fall Classic. The two day event begins with a circuit race on Saturday and a long loop cross country on Sunday. The DEVO team has been traveling to one big race a month this season with this being the final hurrah for the summer program. It also serves as the MSC series final. Coming this weekend. This race is coming quick. Check it out here. Saturday, October 11th, The JrDEVO Pedal Test will take place up on the Fort Lewis Campus. Previously slated for Sunday, the rescheduled event will be a 3 stage race for 1st through 5th grade cyclists. The events will consist of a short track circuit race, slow-motion time trial and a 4 person relay race. 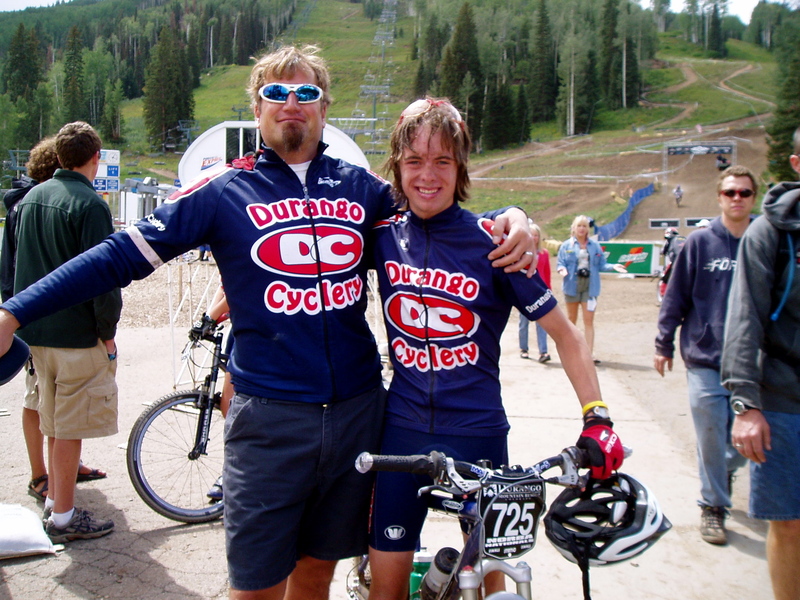 BlueWolf Events has been contracted by the Tour of Durango as Event Director for the 2008 event. The inaugural edition of the Tour of Durango is scheduled for Sunday October 12. 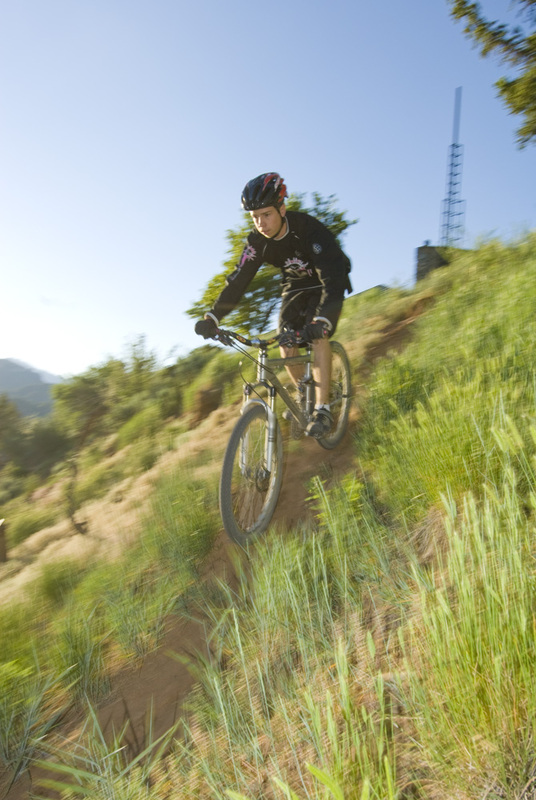 The Tour of Durango is a non-competitive tour of Durango, Colorado’s world class single track trail systems including River Trail, Horse Gulch, Animas Mountain, Dalla Mountain Park and Durango Mountain Park – a true 360 degree tour of Durango’s finest trails. The race schedules for October 11th has been cancelled. Proceeds from the event benefit Trails 2000 and the Southwest Conservation Corps, two non-profit organizations that maintain Durango’s trails. For more information or to register http://www.tourofdurango.com/. 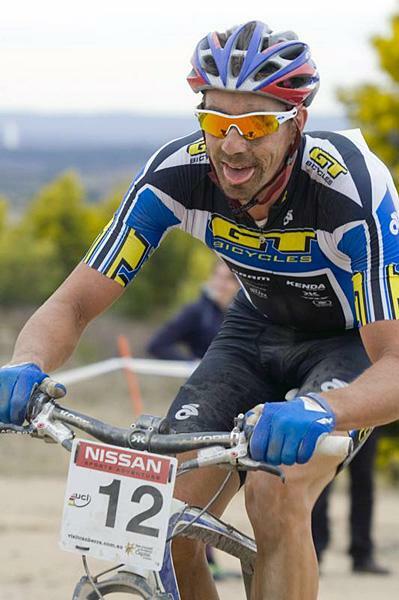 Todd Wells of Colorado took his top form and crammed it in a bag of Australian World Cup race action earlier today. After a tough go at the Beijing Olympics, Todd added to his tally for his best WC overall points standing with just one race remaining. Todd is Good! Thanks to Durango Mountain Resort’s Scott, Alex, Liz and Hank for all the DEVO support. Cool ride coming up here in Durango. Saturday, September 6th will be the second annual Tour de Farms Bicycle Ride, highlighting what is unique, healthy and homegrown about our agricultural community. With two rides to choose from this year, an in-town 5 miler, or a 35 mile road loop around La Plata County. $20 gets you more than you think. 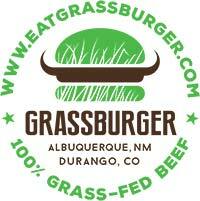 Tickets can be purchased at the Durango Farmers Market, this Saturday. Sounds Delicious.